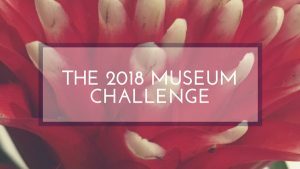 It is the first Monday of the month again and that means it’s time for the ArtSmart Roundtable, a monthly event by an international group of art-enthusiastic travel bloggers. This month’s theme is National Art, a theme that can be approached from many different angles, as you will see from the other contributions. 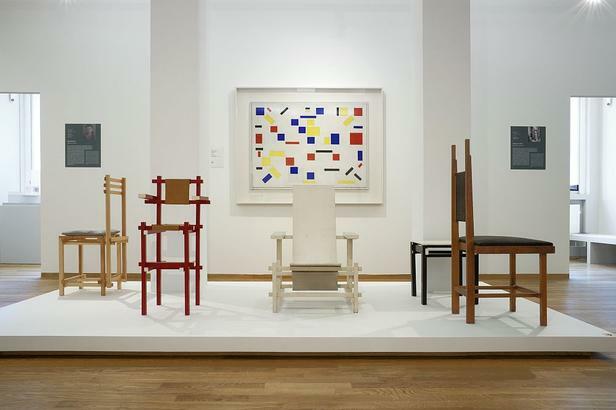 Our choice fell on the Dutch national artistic movement, De Stijl, which had from its start an enormous influence on the artistic world in The Netherlands and beyond, and which can still be observed and visited at different locations around the country. Abstract, simple figures, lines and primary colours, these are the main visual characteristics of the artistic movement De Stijl – ‘The Style’ in English – which connected artists like Piet Mondrian, Theo van Doesburg and Gerrit Rietveld in the early 20th century. A movement that may have looked very differently or may not have even existed as we know it without the outbreak of the 1st World War (1914-1918). Front: chairs of Gerrit Rietveld, Robert van ’t Hoff and Jan Wils. Back: Bart van der Leck, ‘Compositie nr. 8’, 1917. exhibition design: Krijn de Koning en Anne Holtrop. Photo: Gerrit Schreurs. Gemeentemuseum Den Haag. Although Dutch artists were already using more abstract forms in their works before the First World War, influenced by foreign art movements like cubism and futurism, the war and the neutral role The Netherlands had in it created an environment wherein artists could develop themselves somewhat more independently, feeling less of the Parisian artistic influence and pressure that was so common before. Dutch artists, who were living abroad before the war, were forced to stay in the ‘safe’ haven of the motherland, among them Piet Mondrian who previously lived in Paris. Seeing how the world was changing, the desire to start an independent magazine to promote a new artistic movement was especially strong for the artist Theo Van Doesburg. Soon after befriending artists like Piet Mondrian, Bart van der Leck and Vilmos Huszár, in 1916 the birth of the artistic movement De Stijl for the ‘conscious abstracts’ was a fact, soon followed by the founding of the magazine under the same name in 1917. 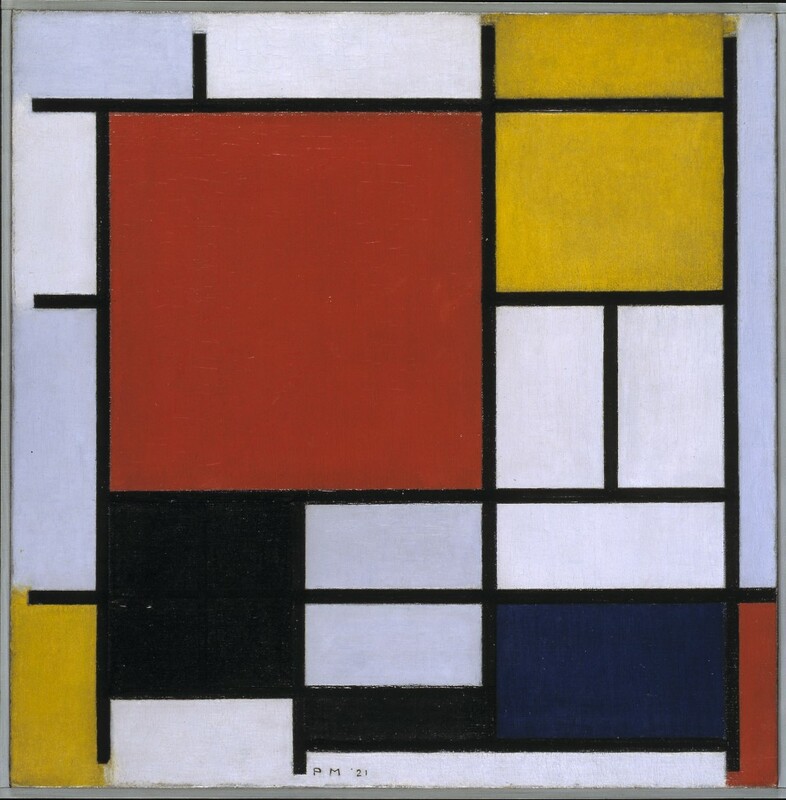 Besides Theo van Doesburg the principal members of De Stijl were the painters Piet Mondrian (1872-1944), Vilmos Huszár (1884-1960) and Bart van der Leck (1876-1958) and the architects Gerrit Rietveld (1888-1964), J.J.P Oud (1890-1963) and Robert van ’t Hoff (1887-1979). The artists all influenced each other heavily in their works, although some of them applied the concept of conscious abstractness more quickly and more extremely than some of the others. Rietveld Schroderhouse. Photo by Ernst Moritz. Whereas you would assume that the artists would regularly meet each other as a group, this rarely happened and was almost limited to projects where they cooperated with each other. Most of their communication was via letters and it is said that Mondrian and Rietveld never even saw each other. In fact, all the artists only had two exhibitions together, one in Galerie l’Effort Moderne and one in the École Spéciale d’Architecture, both in Paris just after the war. The social-economic climate the artists lived in during and after the war made them reflect over the need to modernise society and modern art was seen as a vehicle to achieve this. Especially the architects among them were confronted with the shortage of housing after the conflict that devastated the continent and were forced to look into ways to build in more efficient ways, with a more sober style as the result. Once in a while the architects among them worked together with the painters of the group. Mondrian famously refused interactions of that sort, being of the opinion that this sort of mixing of the two arts was incompatible. It turned out that he was right, various members of the group left the collaboration after arguments about the execution of projects. Influenced by the chaos around them the idealists of De Stijl strongly believed that by simplifying and abstracting the world a more harmonious society could be achieved. For them modern art was merely a vehicle to reach this goal. The common elements of this art movement, also referred to as neoplasticism – new plastic art – were mainly the utilisation of asymmetric compositions and designs, elementary shapes and primary and neutral colours. Although outsiders considered these elements as creating a chilly, distant atmosphere, the artists themselves thought very differently and felt this was giving colour, joy and happiness to their work. 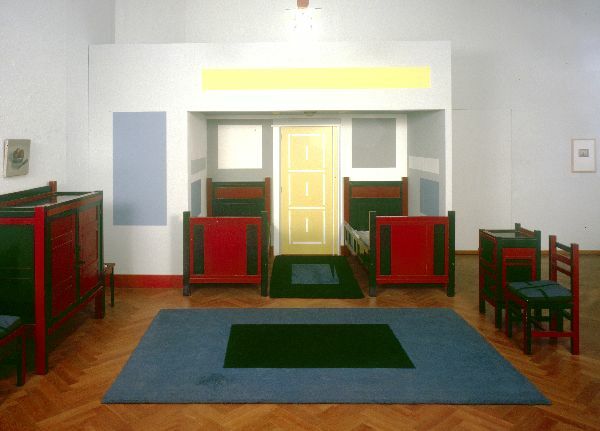 The influence of De Stijl on the Dutch art and architectural world is still very obvious. In 2006 this was formally recognised by the Dutch government by adding De Stijl to the Canon of Dutch history, a list of fifty topics essential to teach in Dutch primary and secondary schools. To be noted that Rembrandt and Van Gogh are the only other art topics on this exclusive list. Since 2011 the Gemeentemuseum Den Haag (Municipal Museum The Hague) has one of the broadest permanent exhibitions of De Stijl in the world, dedicating one wing – 750m2! – to this art movement. Besides works of the principal members of De Stijl the museum displays the largest collection of Mondrian’s art in the world, encompassing 300 works made through his whole career, including his last unfinished and extensive discussed work: the Victory Boogie Woogie. The exhibition is arranged around the concept of The House – The Street – The City, an article written by Mondrian in 1925, to properly show the conflux between art, design and architecture. Address: Stadhouderslaan 41, 2517 HV Den Haag, The Netherlands. Admission: Standard €14.50, Museumcard free. For discounts visit website. The icon of De Stijl architecture, the Rietveld Schröder House in the city of Utrecht, was designed by the architect Gerrit Rietveld in 1924, commissioned by Truus Schröder, and is a Unesco World Heritage Site since 2000. This was Rietveld’s first assignment to design a complete house, a design naturally influenced by De Stijl principles and his own designs: asymmetrical compositions, a playful, yet practical division of surfaces and the usages of primary and neutral colours. 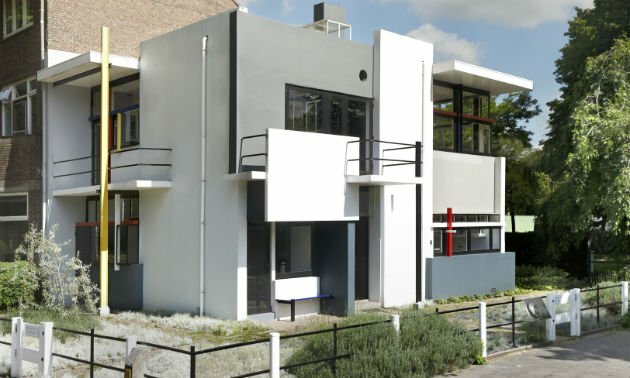 If you’d like to visit the Rietveld Schröder House, less than half an hour away from Amsterdam, bear in mind that booking beforehand is required as only 12 persons are allowed per visit due to the limited space. The Rietveld Schröder House is part of the Centraal Museum Utrecht. The house is nowadays also furnished with furniture designed by Rietveld. Prins Hendriklaan 50, Utrecht, The Netherlands. Admission: Standard fee €14,-, for discount possibilities see website. Audiotours are available in Dutch, English, Spanish, German, French, Italian and Japanese. Both Stedelijk Museum and Rijksmuseum exhibit a number of works of the member of De Stijl as part of their permanent collection. 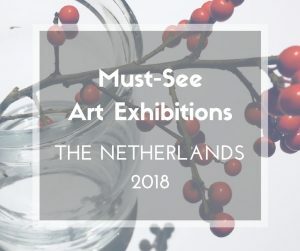 Although not as impressive as the collection in the Gemeentemuseum Den Haag or the Rietveld Schröder House, in case you have no opportunity to travel to The Hague or Utrecht, this is your chance to see some of the original works. The Rijksmuseum Gardens, cafe and museum shop are also open to visitors without a ticket from 9am to 6pm. Opening Hours: daily 10 am until to 6 pm. Thursday until 10 pm. Please check website for holidays. 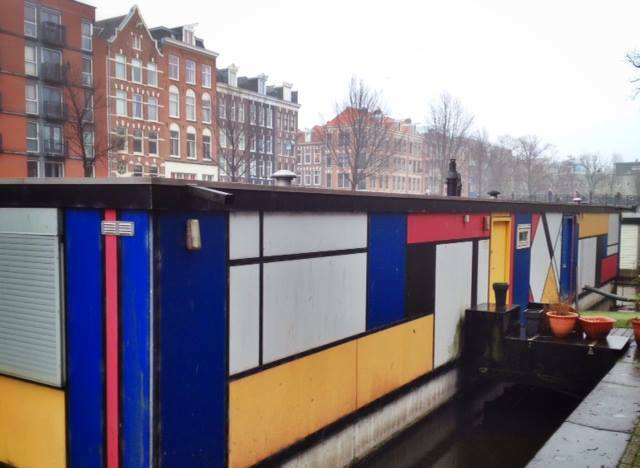 The whole idea for the execution of this month’s ArtSmart Roundtable theme was actually triggered by the Mondriaan House Boat we came across here in Amsterdam just a few blocks from where we live. As far as we know it is a private initiative and it could thus be gone any day, but it certainly brightens up the area. Mondrian is said to have lived in around here, which could be the reason for its location, but all this is a guess as we haven’t been able to get hold of the owners yet. Something to be confirmed in the future. If the house boat is still there, you should be able to find it along the Bilderdijkkade in between Jacob van Lennepkade and Kinkerstraat. The ArtSmart Roundtable also has a group on Facebook. Join for more art and art-related travel news.